Dubai: Dubai is stepping up its drive towards embracing autonomous transport with a five-year road map that will prepare the ground for all future technologies in the sector. The Roads and Transport Authority (RTA) on Monday announced a new smart transport strategy 2017-2021, which will ensure that Dubai is on track to transform 25 per cent of its road trips into autonomous by 2030. The road map will see the implementation of 34 projects ranging from autonomous drones, self-driving buses and taxis as well as other innovative projects like expansion of pedestrian crossings, roadside sales and information kiosks. Launching the new road map, Mattar Al Tayer, Director General and Chairman of the Board of Executive Directors of RTA said that the strategy is part of the future global trends that show the world is bracing up for a fourth industrial revolution focused on artificial intelligence and robots. One of the key elements of the new five-year strategy will be the launch of a worldwide competition for autonomous transport technology that will see the best manufacturers in the sector from across the world making a beeline to Dubai. According to Ahmad Hashem Behroozian, CEO of RTA’s Licensing Agency, the competition, which will be announced later this year, will have several segments and will be covering seven different modes of transport including land, aerial and marine. The idea, he added, is to look for the best technologies that are suitable for a smart city like Dubai. “We have not yet finalised who will participate and what will be the structure of the competition. There could be multiple competitions involving manufacturers, researchers, university professors as well as students. The focus is to trigger the research and development and make the city ready for the future,” said Behroozian, who is also the head of RTA’s Smart Vehicles Committee. He added that an important focus of the road map is to build the ground for future technologies. “Most of the autonomous technologies across the world are in a trial phase now and nobody is sure when these can be put into practice. So, what we are trying to do is to make the city ready for all future technologies by developing safety standards, introducing relevant legislations as well as building the required infrastructure,” said Behroozian. The new road map follows the successful implementation of RTA’s smart transport plan over the last three years that saw the launch of 29 innovative projects as part of the smart city initiative launched by His Highness Shaikh Mohammad Bin Rashid Al Maktoum, Vice President and Prime Minister of the UAE and Ruler of Dubai in 2014. “The Smart City envisioned by Shaikh Mohammad is a city focused on the convenience and welfare of its residents, and offers highly efficient services using sophisticated technologies. The smart mobility is obviously a key pillar of the Smart City,” said Al Tayer. He said that the RTA is the first government entity to announce the completion of its smart city initiatives that were announced three years ago. 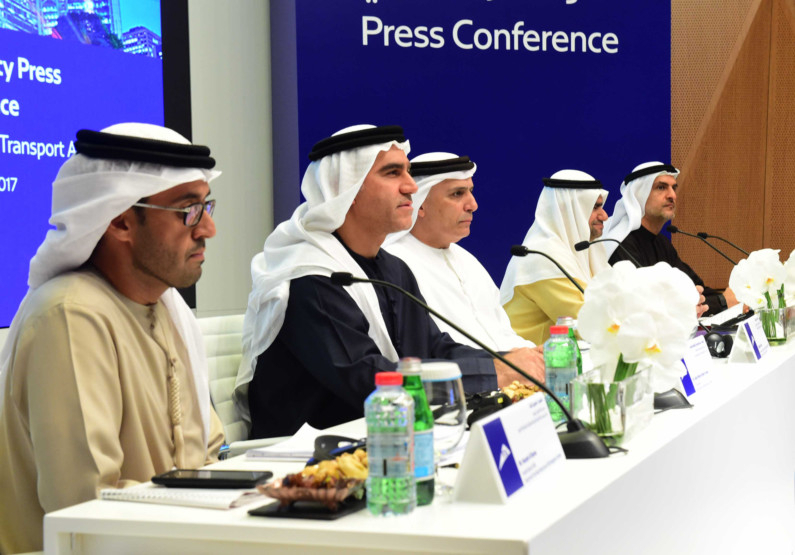 “Three years ago we announced 22 projects and during this period we have not only delivered all the projects that we promised, but also launched seven additional initiatives that add value to the mobility sector,” said Al Tayer, enlisting the accomplishments. Some of the projects that have enhanced the mobility experience of Dubai commuters include smart bus shelters, taxis with interactive screens and wifi, smart car rentals with pay by the minute features, automated yard test for trainee drivers as well as mobile-based journey planners and taxi hailing apps. In the next phase, smart mobility road map will see the launch of an Integrated Mobility Platform, Tesla electric taxis with autonomous features, smart roadside sales and infotainment kiosks as well as smart pedestrian crossings and public transport with autonomous features among others.